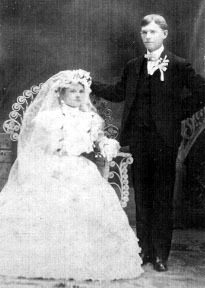 Married Oct. 27, 1914 in St. John's Catholic Church in Fayetteville. The Fayetteville Brass Band played at the reception. Behind Henry Marek is his step-mother Rosalia Minarcik Marek. Behind Albina Kasmiersky is Henry's dad, John Marek. Do you recognize others? Photo contributed by Beatrice Marek McCafferty. Click on photo to see enlarged view. 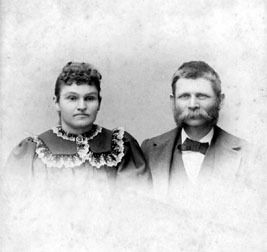 The Heinsohns both immigrated from Jadeberg, Oldenburg. Married in Texas in1855, they raised a large family and were successful farmers near Willow Springs. Charlie Zapp owned a general mercantile store and was the postmaster. After thirty-eight years in Willow Springs, he moved his family to Houston ca 1912. Mary Zapp was Gerhard Heinsohn's daughter. The Garlins farmed just east of Cummins Creek near the Pagel Cemetery on land purchased by her first husband, Carl Albrecht. Both Willow Springs natives, the Pagels owned the farm just north of the Albrechts. 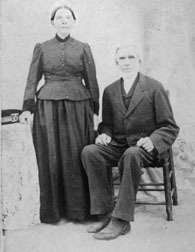 Emma Albrecht was Frank Pagel's sister. 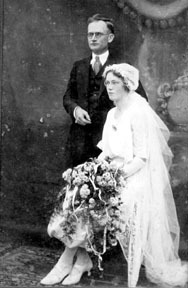 The Heinsohns married in 1903 and farmed at Willow Springs. Married in 1921, the Albrechts had a large poultry operation at Willow Springs. Isabel was known for her flowers. 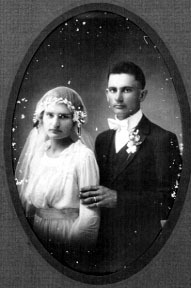 Married in 1919, Olga was a newspaper correspondent for the Willow Springs area for many years. The Willow Springs community lies west of Cummins Creek in the James Miles and John Andrews Leagues in the southeastern corner of Fayette County. David and Sarah Davis Breeding who came from Kentucky were early settlers in the area. 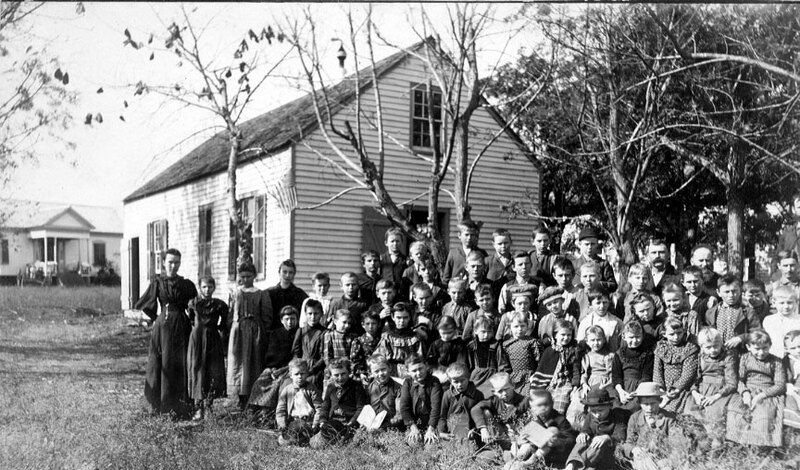 The first known school session in the county occurred on the Breeding’s land in 1834, taught by a Mr. Rutland. McGinnis was another early family in the area. 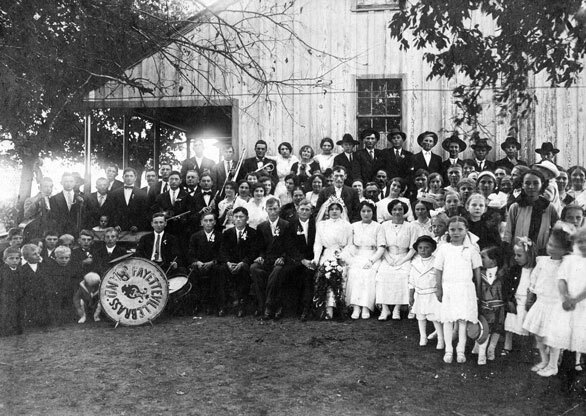 With the first permanent German settlement in Texas only a few miles to the east at Industry, it’s no surprise that immigrants also established farms in the Willow Springs area. 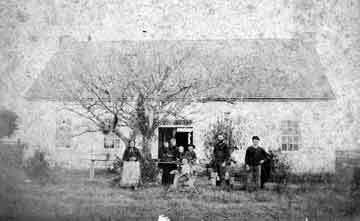 The Albrechts, Hennigers, Krebs, Muellers, Muenzlers, Pagels, Sauers, Schulzes, Scharnbergs, and Weidemanns were some of the earliest immigrants to locate there. In the late 1850s and 1860s, the term “Briten” Settlementand other similar spellings that appear to be variations on the Breeding namewas used by the German-speaking Lutheran Pastor at nearby Frelsburg, Rev. J. C. Roehm, to describe the birthplace of local children. In 1870 Rev. Roehm used the term “Pagel settlement” to describe the community. 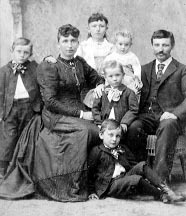 The Pagels had immigrated in 1850 and farmed just west of Cummins Creek. In 1866, after his father and most of his siblings had moved on to Lavaca County, the oldest son, F. Wilhelm Pagel, bought additional property at what is now the intersection of State Hwy 159 and FM 954. He dug a root cellar and built a house over it with thick rock walls covered with stucco. 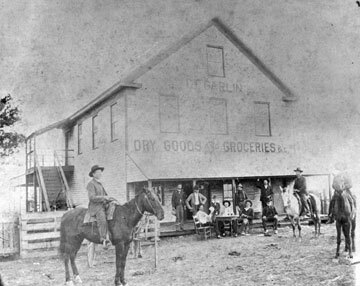 Pagel ran a general merchandise store on his property and the local community became known as Rock House, named after Pagel’s home, when he became its first postmaster on October 12, 1871. The name Rock House was still in use long after Wilhelm Pagel died in 1873 and his wife relinquished the post office, which was officially moved a few miles east into Austin county where the new postmaster, Ernst Witte, lived. In 1880 Charles T. Zapp purchased one and a half acres to build a house and store across the road from the Pagels at the location of today’s Minssen Store. The following year he established a post office in the store, and the community was known for a time as Zapp or Zapp Post Office. Charles F. Garlin bought the store and served as the Zapp postmaster from 1892 until 1902, before selling it back to C. T. Zapp, who ran the post office again until it was discontinued in 1906. 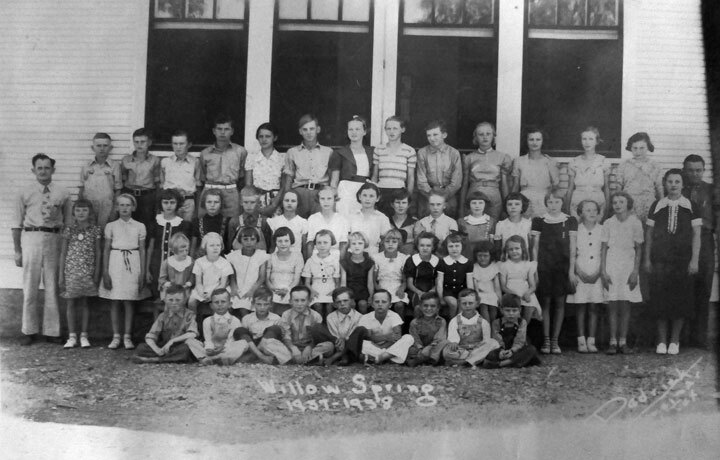 Since the 1870s the community’s school located near the Willow Springs branch was called the Willow Springs School. Throughout all the post office changes the community was alternatively known as Willow Springs, the name it bears today. Zapp, Fayette Co., Tex., June 2. We are nearly over our big fright of Friday evening. I have heard of hailstorms, but nothing like this one – hail from the size of hen eggs up to the size of your fist. It broke 123 window panes and window sash for us; cracked and broke the blinds and split all the shingles on the north and west side of the houses, unroofing some; knocked some off their foundation, and holes in some roofs as big as a hat, and water just poured into the broken windows in torrents. Biggest rain we ever heard of, afterward doing much damage (you know our store is two-story). Storm twisted off our new windmill, destroyed fences, uprooted trees; not one leaf left on many large trees, nor on corn and cotton, vegetation, etc. Even weeds were all killed by hail in fields and pastures, and not thirty days’ feed left of neither hay nor corn of 1906 crop, and price raised at once at Fayetteville to $1 per bushel for corn. Two of our horses and many others ran into the barbed wire fences through fright and were butchered up considerably. I expect one of our nice blacks will die. Hundred of chickens, rabbits, snakes and thousands of birds were killed by the hail, which was found (the hail) after the storm was over in piles from two feet up to five feet high against the houses and in the low places, and there is plenty of the hail to be found yet this evening at 7 o’clock, in spite of the hot sun and clear skies for two days past – something unheard of and which probably can not be believed by a living soul not here to see for himself. The bark was literally peeled off from many large trees, especially fruit trees. All orchards are ruined – not fruit, nor even a leaf, left on them. Hail and rainstorm lasted thirty to forty minutes. Everything will have to be planted over when dry enough. After six or eight week’s continual rains here (think of it! ), say middle of June, what will we get? I expect to lose nearly all I sold on a credit, as this is the Mexican weevil district, and it is also much too late. As far as I know, the hail started near Warrenton and extended east to Sealy (about forty miles), in Austin county. Fayetteville was not touched. In an interview more than eighty years later, Ellis Garlin vividly remembered Willow Springs' frightening storm that occurred when he was seven years old. Ellis had crawled inside a barrel brought into the house from the front porch to avoid the baseball-size hail crashing through the windows. He remembered with irony that, amid all the destruction, hail had knocked a cup off the kitchen table without breaking it. The local mail carrier, Albert Schulze, had been caught in the storm and drove his horse and mail wagon right under the Ernst Albrecht family's covered porch to save himself. The big hailstorm of 1907 was definitely an unforgettable act of nature. Charles T. Zapp is holding his cards up at the table, Charles Garlin is the dark-bearded man leaning against the post, Henry Garlin is standing next to him with his arm up, Fritz Garlin is the man with the white whiskers sitting in front of him. If you can identify others, please contact Rox Ann Johnson. Zapp [Willow Springs] is situated about seven miles north of Fayetteville in the extreme eastern portion of the county on Willow Spring. A more pleasing landscape can hardly be found in the state. The elegant white painted farmhouses, the substantial large barns, in the midst of verdant fields, speak of the industry of its people. The people are well-to-do, independent and contented. They enjoy life, being well fixed against any contingencies. The population is German and Bohemian. The place was named after C. T. Zapp, who was the first postmaster in that place (1881.) [This is incorrect. See note 1 below.] Zapp is also called Willow Springs, after the school by that name, which for the last few years has been under the able direction of a thorough and conscientious teacher, Prof. Wm. Haverlah. Zapp is a very old settlement. It was settled early in the thirties and as early as 1839 it is spoken of in the minutes of the commissioners' court as the German settlement. Old settlers are F. Garlin, Ad. Schulz, Wm. Krebs, Gerh. Heinsohn, Wm. Weidemann, F. Scharnberg, Mrs. Johanna Heinsohn (age 96 years)[see note 2], Julius Krebs. Among the old settlers who have passed from life and gone to whence there is no return Carl Albrecht, A. Muenzler, F. Pagel, Christian Henniger may be named. Willow Springs' first postmaster was actually Friedrich "Wilhelm" Pagel who held that position from 1871 until 1873 when he died. During that period the community was known as Rock House Post Office or just Rockhouse after Wm. Pagel's home which was built of plastered-over rock. Ernst Witte, who lived across the county line in Austin County, became the Rockhouse postmaster after Pagel's death. That community in Austin County is still known as "Rockhouse" today. In 1881 Charles T. Zapp, who lived directly across the road from where Pagel lived, became postmaster with the post office at his general store. The old Rockhouse community in Fayette County became known as Zapp Post Office or Zapp. Charles F. Garlin was postmaster between 1892 and 1903, then the job went back to Charlie Zapp. The Zapp post office was discontinued on November 30,1906 and the Willow Springs community has been served by the Fayetteville post office since that time. There was never a Johanna Heinsohn living in the Willow Springs area. The only older Heinsohn woman living in the vicinity was Sophie Fehrenkamp Heinsohn, but she was only sixty-four at the time. Lotto might possibly have been referring to Johanna Pagel who was ninety-two the year his book was published. 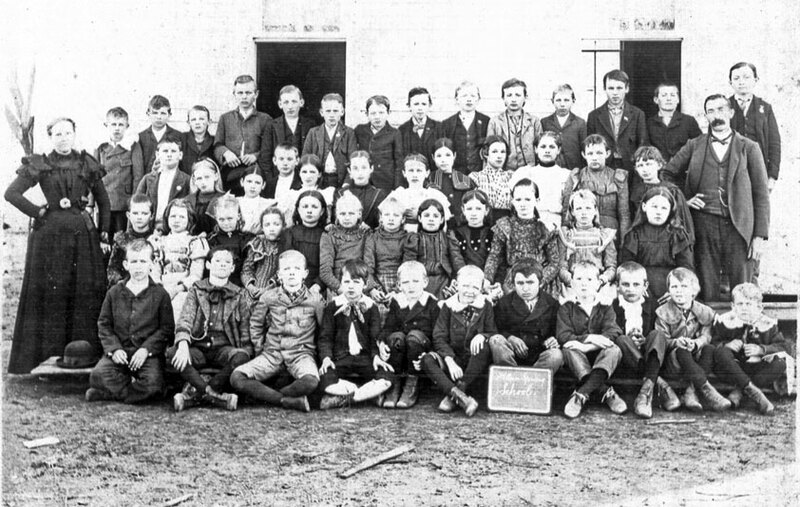 From the Day Book of Hermann John Meitzen, who taught at the Willow Springs School, we know that school was conducted there in November 1875. There was an entry for November 4th where "F. Scharburg, F. Garlin, and W. Weidermann arrived to complete the school's water well." 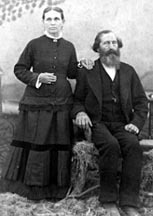 We know that church services were held in the school house on Sunday, November 7, beginning at 3 o'clock, and again on Sunday January 2, 1876, when Clara Braüer and Friedrich Kruse were married after the service. On Sunday, January 9th of that year, a meeting was held at the school with only a few members present, but the group decided to fence the school property. On January 13, "F. Scharnberg, F. Garlin, A. Münzler, H. Glass, F. Bülow, F. Riske and others arrived to fence in the property. The task progressed well because four men dug holes and the others set the posts and nailed the boards." Meitzen conducted class as usual. The fence was completed two days later, though Meitzen did further work on it later in the month. On January 17, Meitzen went to Mr. Ladewig's and picked up small trees which he planted in the school yard. 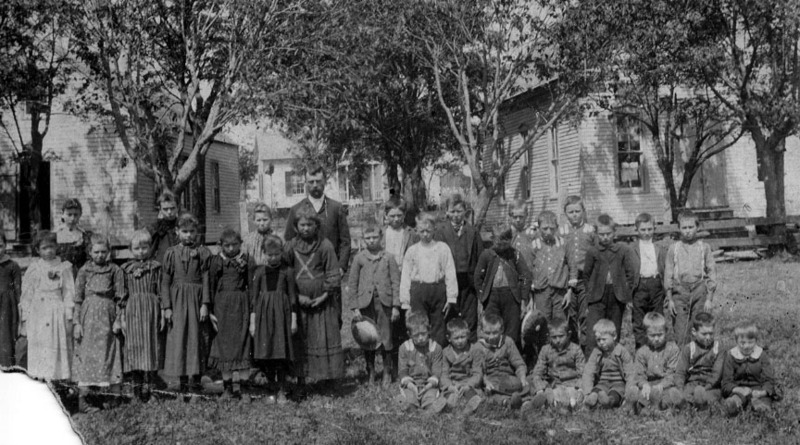 He remarked that on January 25, 1876, a large number of Bohemian children enrolled at school. On Tuesday, February 15, 1876, there was no school because of the election in the school house where local men voted on all offices from governor down to constable. The diary ended on February 23 of that year. Teacher is Ernst Theodore Heinsohn. If you can identify anyone in this photograph or the school photos below, please e-mail Rox Ann Johnson. Ernst Theodore Heinsohn, with moustache, teacher at Willow Springs from 1889-1898. Right of him is Ernst Albrecht, school trustee. Man in back on far right is L. C. Muenzler. Werner & Theodore Zapp are farthest left on the front row. 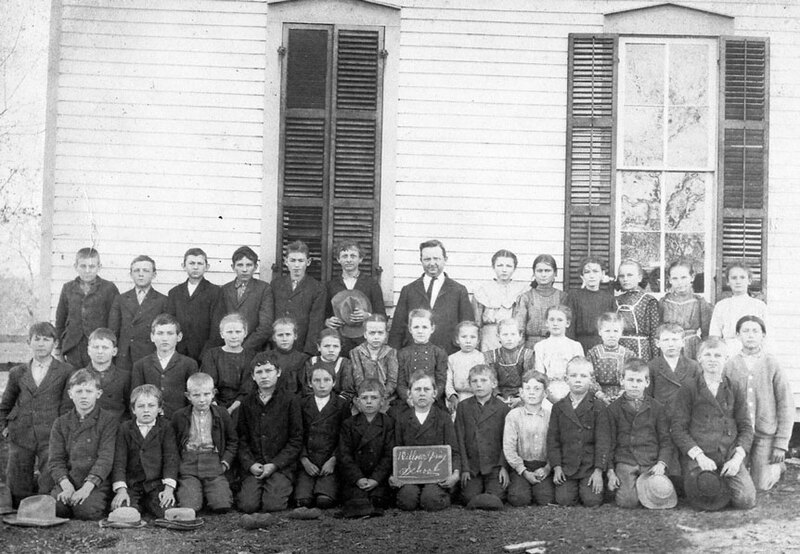 The male teacher was Henry Dreyer, teacher from 1898-1900. The female teacher is probably Nora or Arminda Simmons. If you can identify anyone in this photograph or any of the school photos, please e-mail Rox Ann Johnson. Click on photo for enlarged view. 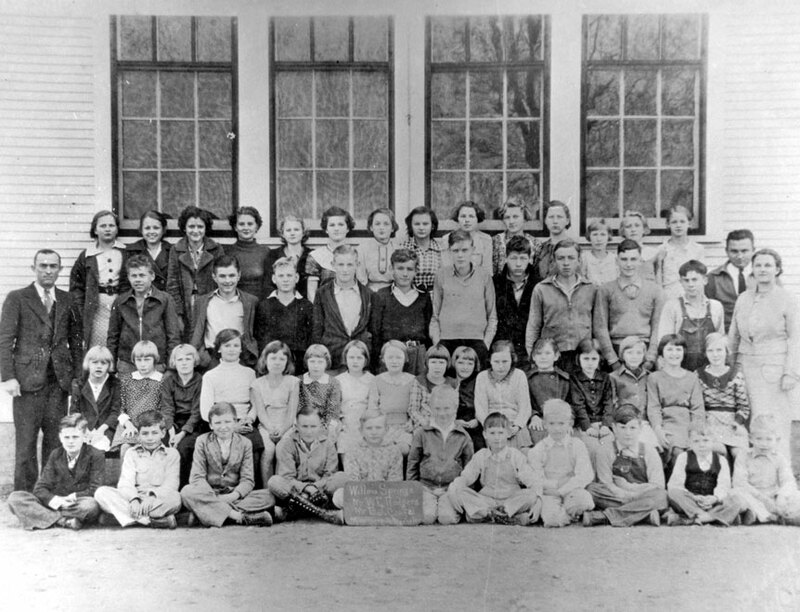 Other Willow Springs students who are probably on the photo include Norma Henniger, Erna Henniger, Laura Henniger, Reimund Henniger, Bennie Kruse, Mary Kruse, Frank Pagel, Leo Pagel, Willie Pagel, Werner Zapp, and Bernetta Zapp. Photo contributed by Laura Campagna. Click on photo for enlarged view. Teacher at center is Charlie Behrens. Olga Heinsohn is third from right on the top row. Do you recognize others? W. E. Rodgers; prinicpal. Gladys Schultz is seated third from right on the second row. Anita Marek is rightmost. 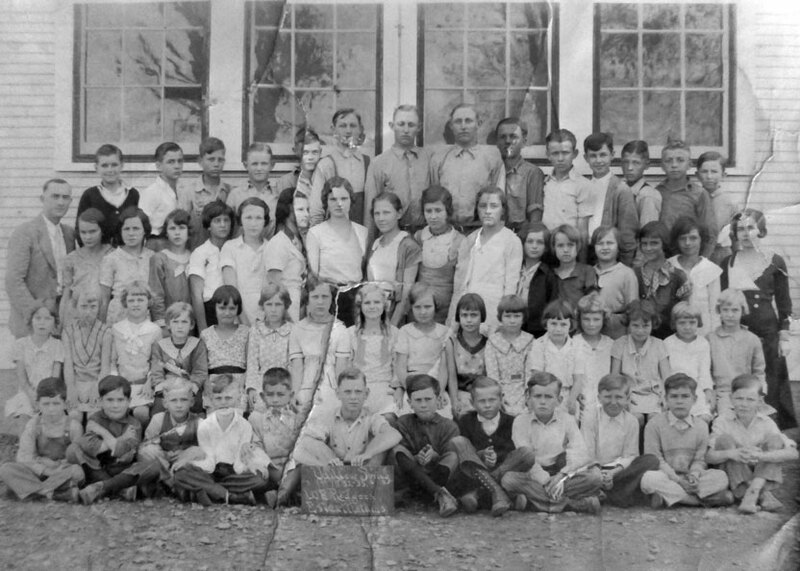 Third Row: Teacher at left is W. E. Rodgers; next are Ted Heinsohn, Gilbert Rodgers, ___, Albert Aschenbeck, Steve Kasmiersky, Wilkens Krebs, Leopold Kulhanek, Alvin Minarcik, Alvin (or Leroy) Krenek; teachers at right are B. J. Coufal and Bernita Muenzler. 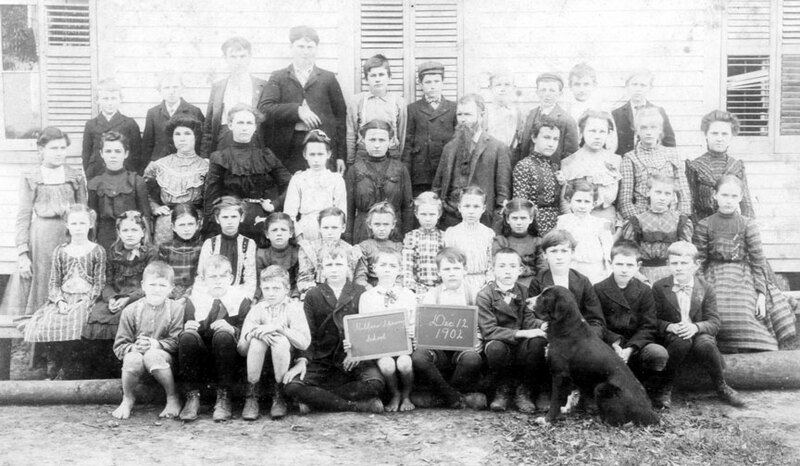 All school photographs on this page except 1902 Willow Springs School contributed by Rox Ann Albrecht Johnson. Gus Steinmann; teacher on left. Bernita Muenzler and B. J. Coufal; teachers on right. Blonde girl standing in center of third row is Anita Marek; next to her with the bow in her hair is Gladys Schultz. Boy with tie; two people over is Warren Albrecht.